Adding Some TEC-VARIETY: 100+ Activities for Motivating and Retaining Learners Online . Published 2014 . ISBN 978-1-4961-6272-4 Publisher: OpenWorldBooks.com and Amazon CreateSpace. Bonk, C.J. & Khoo, E. (2014). 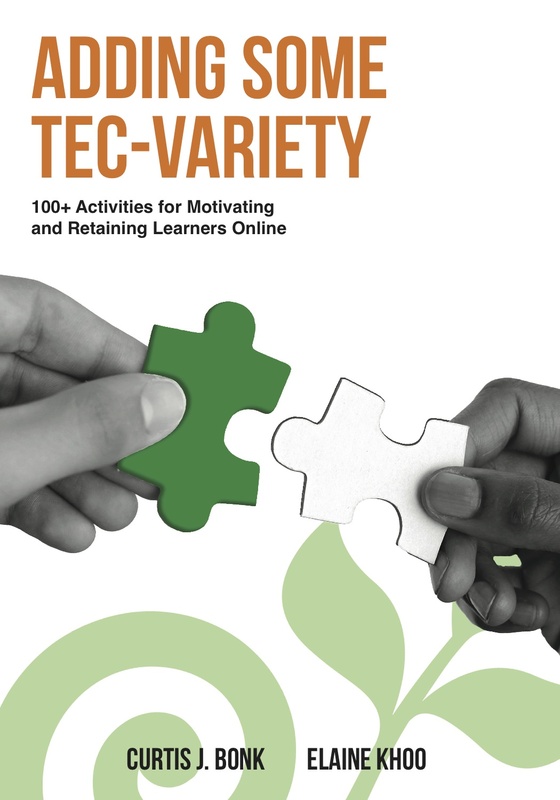 Adding Some TEC-VARIETY: 100+ Activities for Motivating and Retaining Learners Online . OpenWorldBooks.com and Amazon CreateSpace. Retrieved April 23, 2019 from https://www.learntechlib.org/p/147416/. Xie, K., DeBacker, T.K., & Ferguson, C. (2006). Extending the traditional classroom through online discussion: The role of student motivation. Journal of Educational Computing Research, 34(1), 68–78. Xu, D., & Jaggars, S.S. (2011). Online and hybrid course enrollment and performance in Washington State Community and technical colleges (No. CCRC Working Paper No. 31). Columbia University, New York. Yang, Y.-F. (2010). Cognitive conflicts and resolutions in online text revisions: Three profiles. Educational Technology& Society, 13(4), 202–214. Yang, Y.-F., Yeh, H.-C., & Wong, W.-K. (2010). The influence of social interaction on meaning construction in a virtual community. British Journal of Educational Technology, 41(2), 287–306. Yeh, H.-C., & Yang, Y.-F. (2011). Prospective teachers’ insights towards scaffolding students’ writing processes through teacher-student role reversal in an online system. Educational Technology Research and Development, 59(3), 351–368.